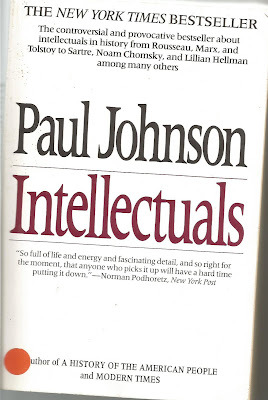 'A fascinating portrait of the minds that have shaped the modern world. 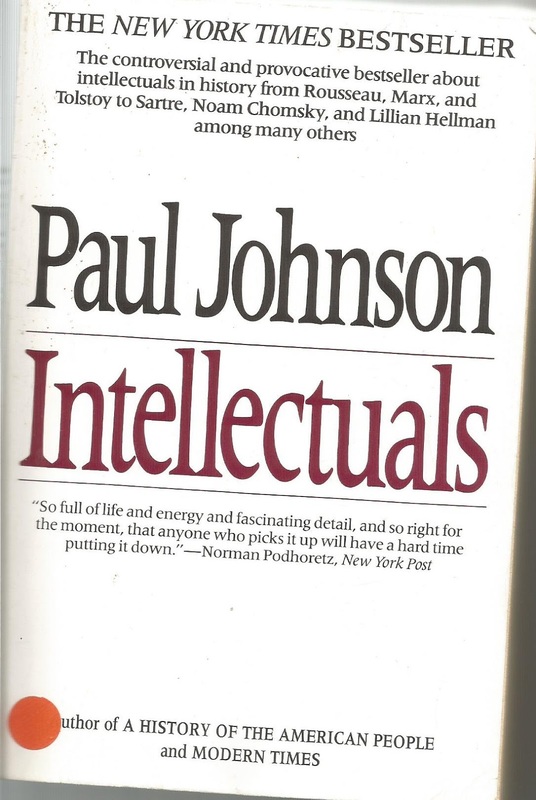 In an intriguing series of case studies, Rousseau, Shelly, Marx, Ibsen, Tolstoy, Hemingway, Bertrand Russell, Brecht, Satre, Edmund Wilson, Victor Gollancz, Lillian Hellman, Cyril Connolly, Norman Mailer, James Baldwin, Kenneth Tynan, Noam Chomsky, and others are revealed as intellectuals both brilliant and contradictory, magnetic and dangerous." The first few in this book, Rossusseau, Shelly and Marx are shown to to grade A hypocrites while others further into the book are just eccentric as you'd expect from writers. But all the essays are worth reading. This is one of those books that can segue you off reading other books for years.